The return of ‘90s style feels particularly in fashion here in the Pacific Northwest, home of the grunge craze, Singles and where minimalist fashion has long been commonplace. The comeback look can be seen everywhere in the city, from our obsession with the dad shoe (which street style star Nick Wooster recently called out in a recent Seattle magazine interview), to the pieces made by a new set of contemporary designers standing out for incorporating these elements, along with PNW-esque sensibilities such as sustainability, into their creations. Shannon Fisher is one such designer. 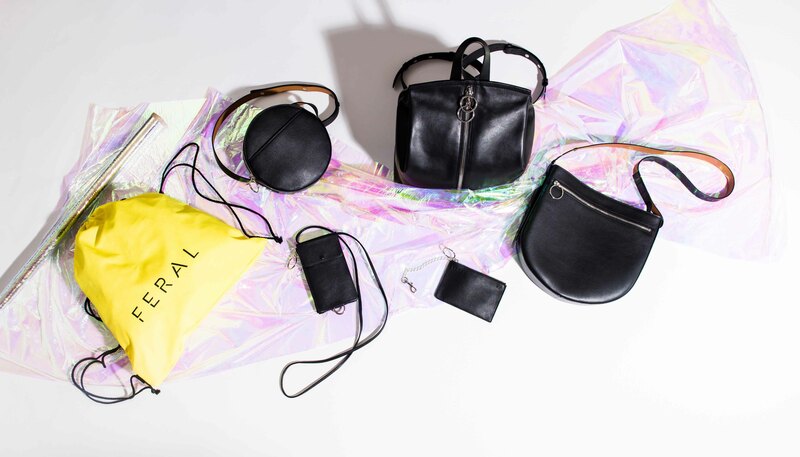 After working for popular brands including Max Azria, Herve Leger and Nordstrom private label, Fisher launched Feral, a leather goods company, this past April. Based in Edmonds, her first collection features six scrumptious bag designs that are inspired by the minimalism favored in the ‘90s but created with useful architectural design details. The brand also leans towards sustainability: Fisher’s pieces are designed in Seattle, made in Los Angeles and feature components (such as labels, stickers and hardware) made in the United States (giving it a lower carbon footprint), and feature a lining made from organic cotton and RPET (recycled plastic). “Many U.S. companies were intimidated by the level of quality we wanted to execute, as this type of fine finishing is mostly found in Europe or overseas,” says Fisher, who spent extra time sourcing domestic partners who could execute her vision. The material Fisher outsources is the leather itself, 100% Napa Calf Leather from Italy, a country famous for its fine grain hide. Each bag is made in limited quantities. Her pieces can also be worn two or more ways. “The phone sling transforms from belt bag to crossbody to necklace bag,” she explains. Fisher also offers another ‘90s staple: beaded handbags, handmade to order by Fisher herself, just the type of exclusive offering fictional ‘90s “it” girl Carrie Bradshaw would spring for. So while may never get a Destiny’s Child reunion, devotees of the decade whose style was defined by Kate Moss and Sarah Jessica Parker can relive it in vogue, with sustainability to boot.